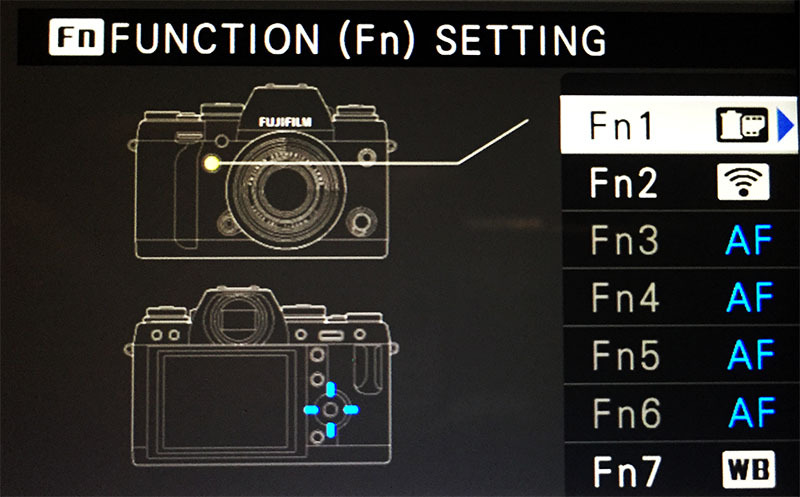 Amidst the fuss over the launch of the X-Pro2, the latest firmware update to the X-T1 has come and gone almost unnoticed. Yes, this was just a re-issued of the ill-fated 4.20 release (which had a slight bug in it) but try to find a review or thoughts on release 4.20 or 4.30 and you will struggle. There are a few tweaks to the MF/AF workings in this release (which to be honest, I have not got my head around) but there are also 2 major updates that will really help me. The flash now works in the continuous drive modes. I.e. I can use my flash at 3 and 8 frames per second. That is a huge thing in press work (just picture all the news clips featuring press photographers working, you will understand). I can now remove this item from my wishlist. The record/video button on the top face can now be assigned a function. Ok, I know there are lots that can be assigned already and, if I don’t have it on a button then I can put it in the Q menu. I change the white balance (WB) a lot, preferably shooting a custom white balance (yes, this is still a planned post) and the white balance option in the Q menu does not offer the option to shot a new WB; only the option to select existing. However setting the “Video Button”, now known as FN7, to WB displays a small menu and allows me to shoot a new custom WB. Not having to dig in the main menu for this is a another step forward (and to be honest, a little similar to the way my old Nikons worked). FN Button Settings: Film Simulation. Direct Focus Point Control and WB. With small steps we can travel a great distance and this new firmware is another small step. Not updated your camera yet? 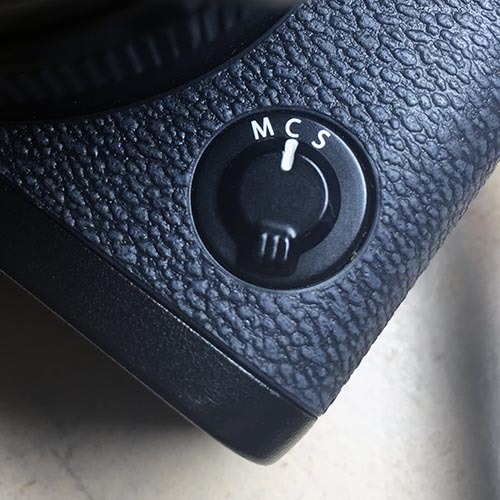 Head over to the X-T1 firmware page to download the latest. I’ll sign off with an image from last night’s job..
One of the most important aspects of a modern camera to understand is the autofocus system. On the Fuji X-T1 this was recently totally changed and updated by new firmware. It was this change that led me to taking the plunge and switching to an all Fuji line-up. 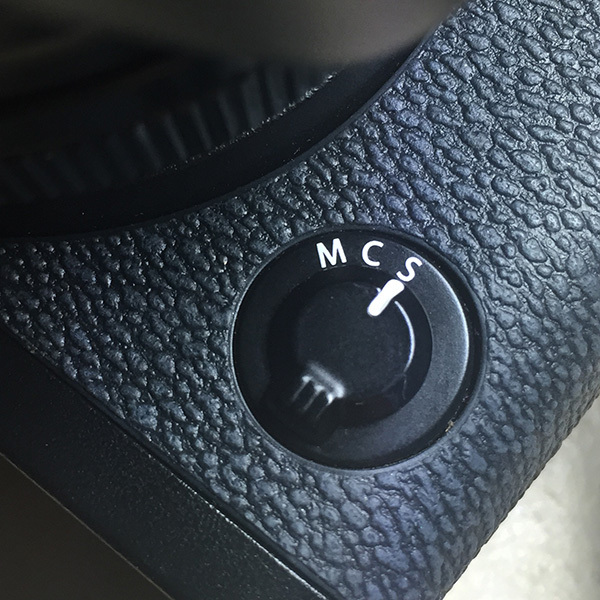 So, how do I set it up and how do I use the X-T1 autofocus system? First I want to say this is not a be-all or end-all guide to using the AF system, I’m not going to go into every setting and describe it, I’m going to run through how I have it set up at the moment (it may well change), what I have found to date and that will sort of indicate why I have this set-up. Zone and Wide Tracking Modes. Improvement of Single Point AF accuracy. Eye detection when Face detection is enabled. Auto-Macro (no longer needing the Macro button to be pressed to focus on close objects). 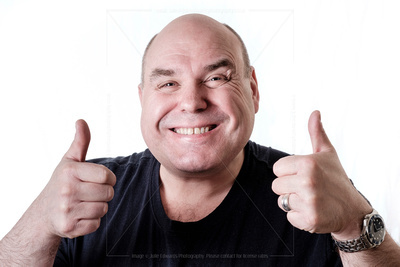 To be honest, I do studio type shoots maybe once or twice a month, mainly corporate type portraits or headshots. Recently I shot a series of “amusing” portraits for a book and it was the first time in the studio with the new firmware. For these I set the system into “single shot” mode and switched to the “zone focusing” with “Face Detection enabled” (as the settings shots below show – excuse the quick iPhone images). The camera finds the face and eyes fine and after a few shots I was confident that the system would do as it was set up to, and find the face! Unless of course you cover it…. 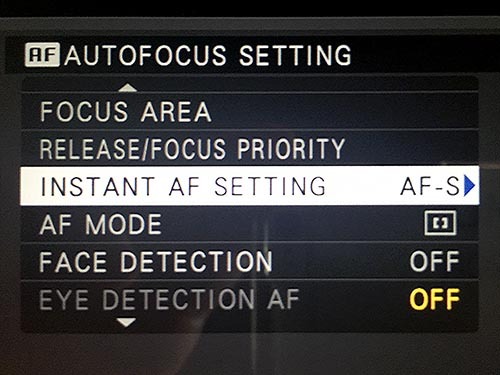 When out and about my settings are basically to set the camera to Continuous AF (AF-C) Mode and Single Point. 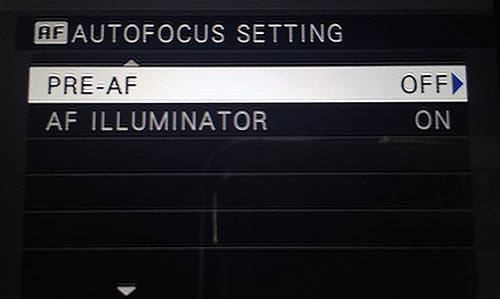 The main menu settings are below. For this to work properly, elsewhere you need High-Performance switched on and (so I have recently read but not yet confirmed) the shutter on Mechanical (i.e. MS not ES or MS+ES). I use the single point over the zone or area modes because I have found it to be faster. In the zone modes I have found there to be a slight delay when pressing the shutter which does not seem to be there in single point. The key here is the Instant AF setting. By having this to AF-S (Single), it means if I use the back button, I can pick a point, focus on that point and recompose. 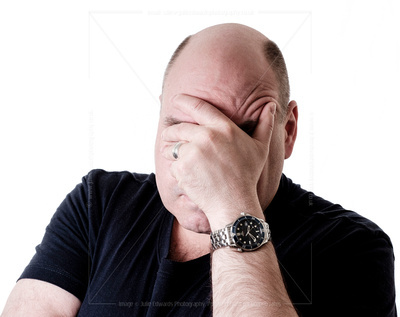 If i place the single point on a subject and half-depress the shutter, the continuous starts tracking it! Thats 2 modes, without changing settings!! So in practice, this fast moving kite-border was tracked by selecting a single point in the lower right of the central area (the bigger squares in the viewfinder are faster phase-detection points) then half-pressing the shutter and tracking, keeping the single point over him until I had the shot I wanted. 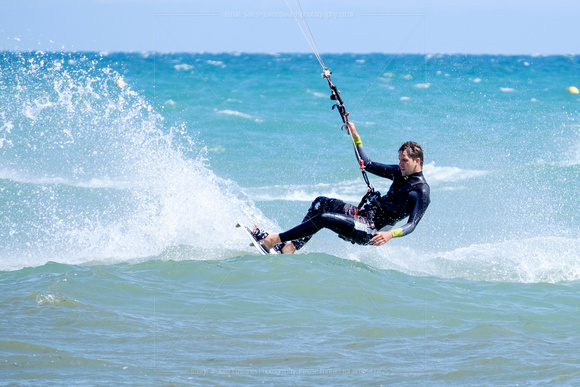 Luckily I do not photograph fast moving sports (Motor Racing for example), if I did I’m not sure the tracking would keep up – I’ll test this soon. Note: I should add this is exactly how I tracked moving subjects on my old system as well, I did not trust it’s full tracking modes either. These girls with balloons were photographed at Brighton Pride where I was walking about, using AF-C to focus on people walking and moving, When I had people pose, I was able to use the back button to focus the single point on the faces, re-compose and shoot. (This was shot with an off-camera flash in my left hand as I held the camera in my right, a subject of a future post). This is how I have it set up at the moment – it will might well change in the future as I learn more and if it does I will let you know. How do you have yours set up? Have you found anything different? Let me know. !